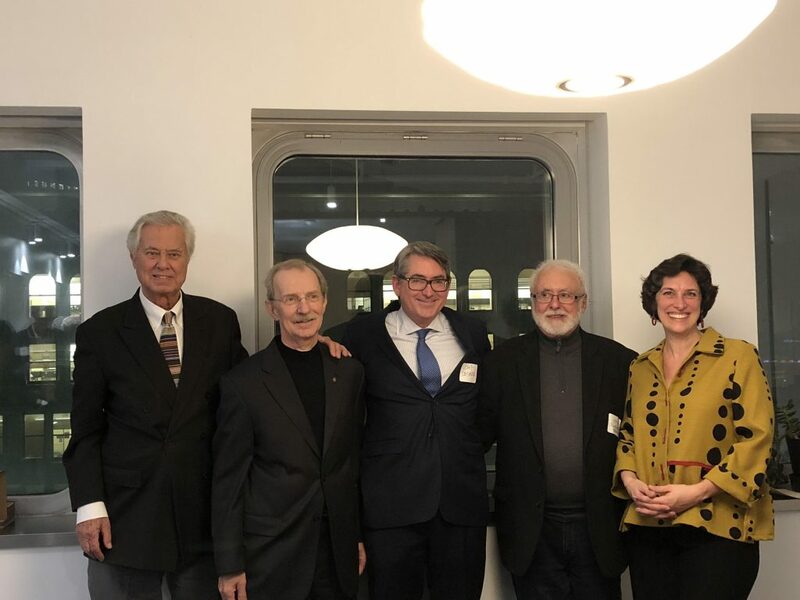 S. Philip Hundley, AIA, Medal of Distinction honoree Richard DeYoung, FAIA, Chip Desmone, AIA, John Martine, AIA, and Michelle Fanzo at the AIA PA Awards viewing party held at Bohlin Cywinski Jackson. 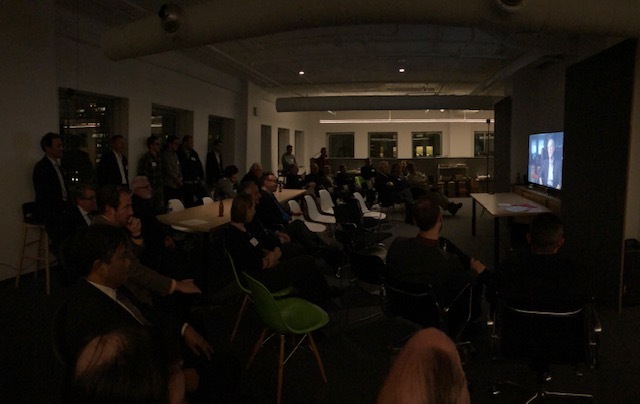 This past Thursday, November 15th, the AIA Pittsburgh community gathered to watch the AIA Pennsylvania Architectural Excellence Design Awards. 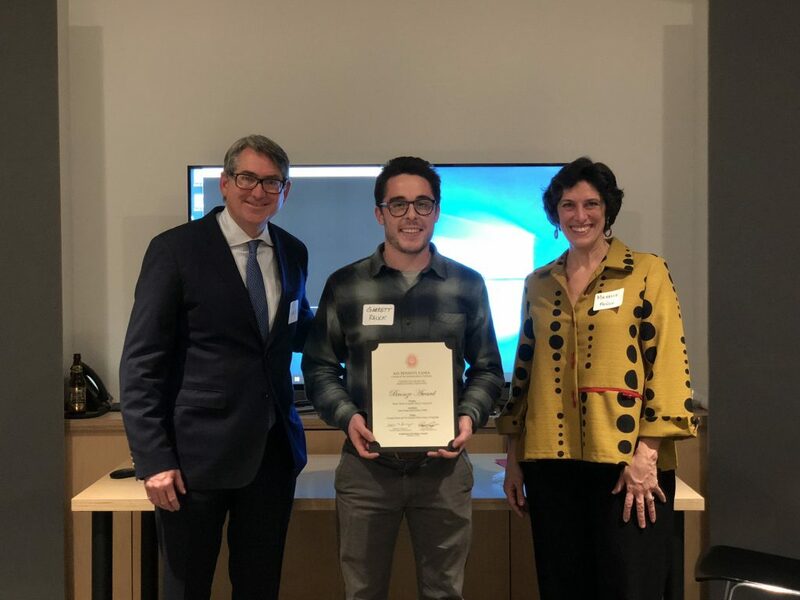 The awards were live-streamed during a viewing party at Bohlin Cywinski Jackson’s downtown Pittsburgh offices. Remarks from president-elect of AIA Pennsylvania, Chip Desmone, AIA kicked off the evening. Mr. Desmone let the crowd know that AIA Pittsburgh was proudly celebrating four Special Award Recipients this year: Timothy Khalifa of Carnegie Mellon University was the Student Award Recipient, Rich DeYoung, FAIA received the Medal of Distinction, Urban Design Build Studio was selected as Impact Designer of the Year and both the Alcoa Building and Mellon Square Park were selected as recipients of the 50 Year/Timeless Award.